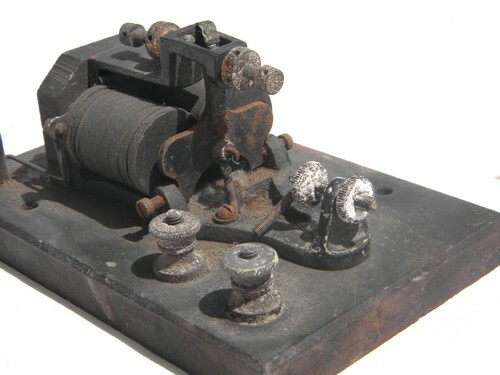 Antique sounder for a telegraph or wireless morse code for restoration or parts. 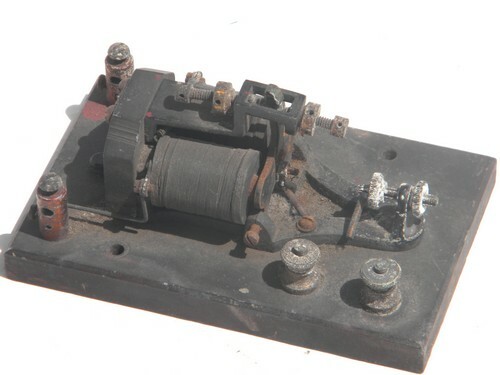 This is from the estate of a electrical engineer and ham radio enthusiast. The base is bakelite or hard rubber and measures about 5.5" x 3.5" across. We&apos;re not sure of the exact vintage of this, but are guessing early 20th century. This has some rust and tarnish from age and storage, but the solenoid hammer is free to move. 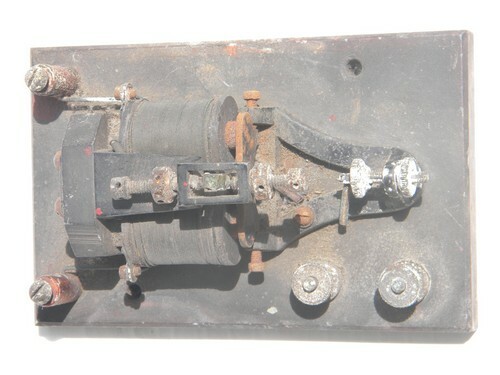 We have not tested this and are selling it for restoration or parts.